Today’s post is in collaboration with a company I recently came accross through instagram, Slay My Print. This is a small company who run an etsy shop selling their prints. They very kindly sent me some Valentines themed prints, although these would make the perfect gift for a partner all year round! Disclaimer: These products were gifted to me in exchange for this review. As always, all opinions are my own and I aim to be honest and fair. For more information see my full disclaimer here. 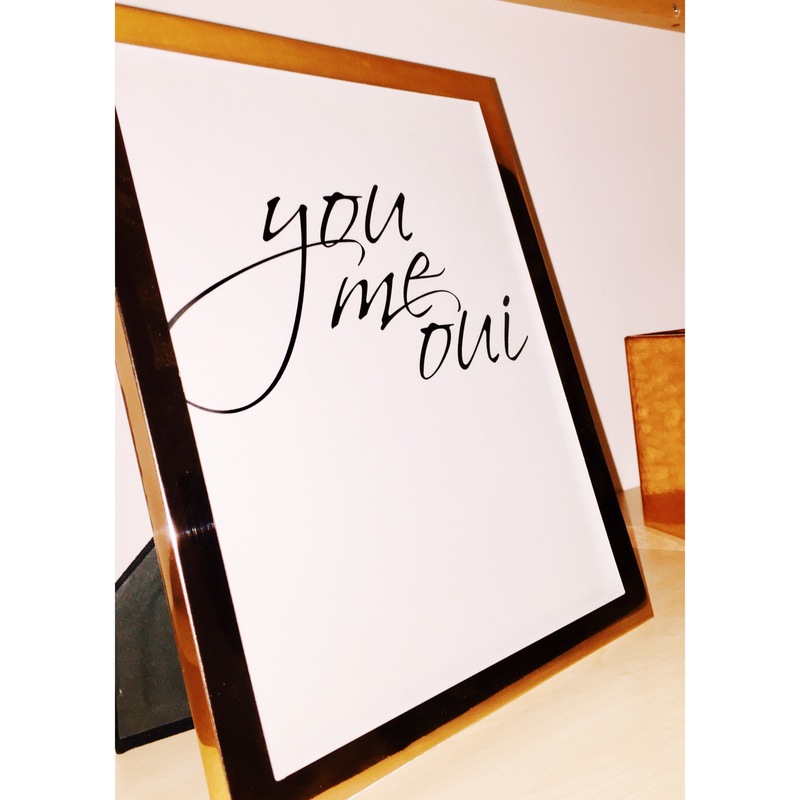 The first print they sent me was this ‘you me oui’ print. I really love the minimalist, simplistic design of this print. I also think the font is really appealing. But, the slogan sold this one for me. I just love how simplistic yet catchy ‘you me oui’ is and I just think it’s so clever! Great job guys. 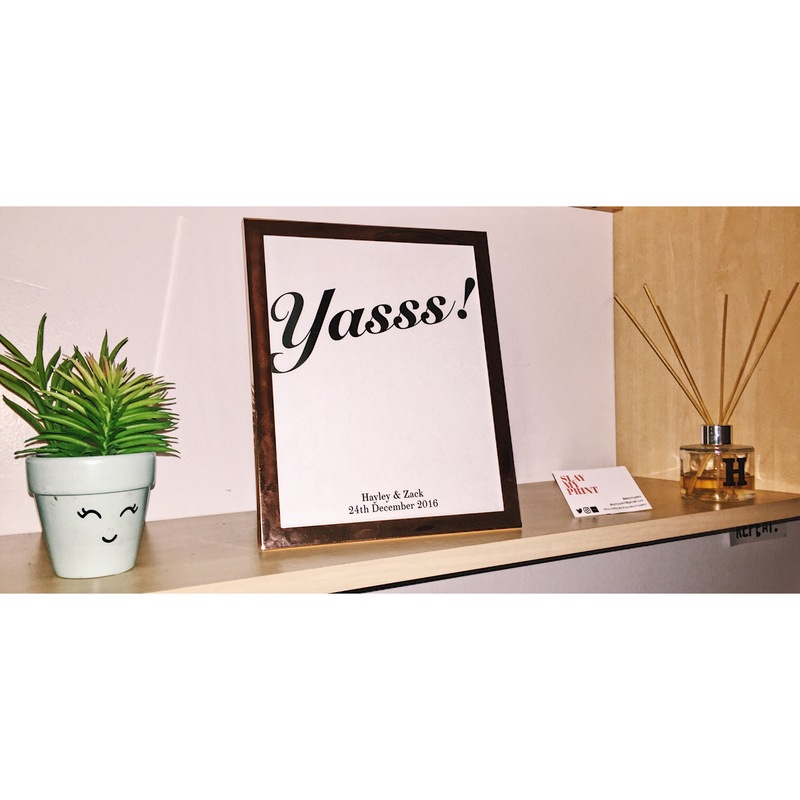 The second print that they sent me was this ‘yasss!’ personalised print. this contains mine and my partners name and the date we got engaged. 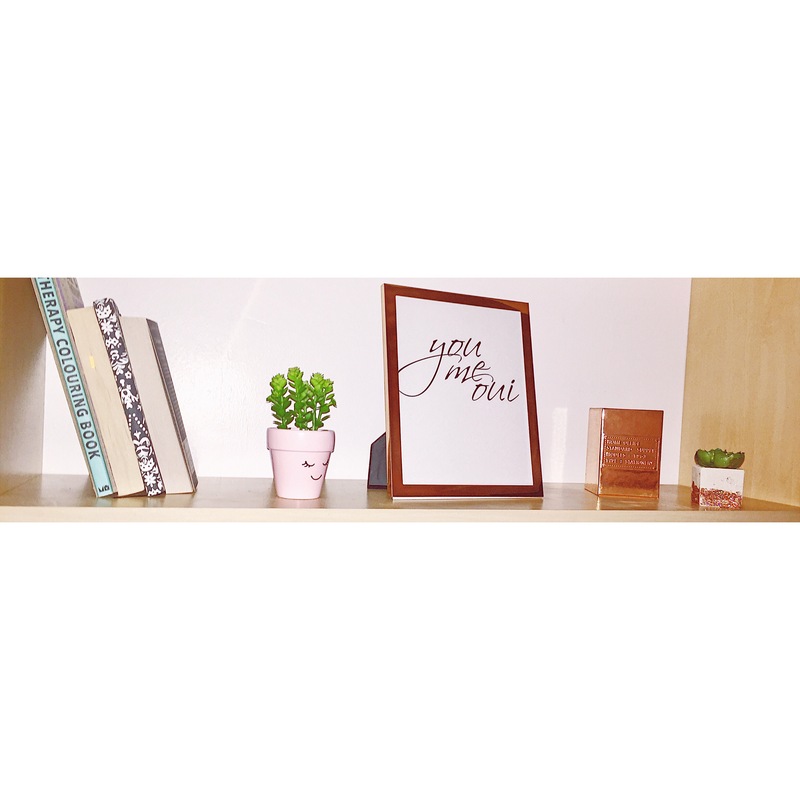 I love the idea of this print being engagement based, because you say yes, but it could be for pretty much anything you like as you can have the date and names personalised, or you can leave them off completely and just have the ‘yasss!’ slogan. One thing that I really love about this company is how personalisable their prints are. I just think they make the most adorable present and, at £5 each, they’re such an inexpensive but thoughtful Valentines gift. Another thing that really surprised me about this company was the quality. I have had quite a few prints from etsy before, but these prints in particular are a lot thicker than the other ones I have purchased and they just seem of a higher quality. Plus, they can wrapped in tissue paper with a little Slay My Print sticker on which just made them feel oh so luxury! As well as doing wedding/engagement themed prints, they also have prints for children (which are so adorable they almost make me wish I had a child) as well as more generic prints. I will definitely be ordering from this company again, in fact I already have my eye on the customisable roman numeral marble print on their site! You can shop their etsy site here, visit their twitter here, and visit their instagram here. I hope you’ve enjoyed this post. This company is one I am so happy to have worked with because it’s a small business ran with real heart, and I’d love it so much if you could head to their social media pages and show them some love! I’ve been so excited to see these prints ever since you featured them on your snapchat / Instagram, girl! They look absolutely fab and I’m a big fan of your rose gold frames too! I definitely need to check out this company! Previous Post Bloggers made me buy it! Next Post 20 Things To Do Before I'm 20!